*Mr. Regmi holds Master’s degrees of Science in Civil Engineering (1986) from Ukraine with Honours and in Environmental Engineering (2002) from Institute of Engineering, the Tribhuvan University of Nepal. He has authored many research papers published in International Journals and is current reviewer of Journals and conference papers. In addition, Mr. Regmi has been developing the newest tools and technologies to save water and renewable energy; he is also an international visiting scholar on ways to tackle climate change issues since 2003. He also teaches the Russian language. 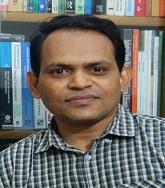 Dr M Manzurul Hassan (b.1966) is Professor of Geography and Environment, Jahangirnagar University, Dhaka, Bangladesh. His research encompasses climate change, environmental health, environmental management, and spatial modelling. He received his MSc in Geographical Information for Development (GID) from Durham University, UK and later, his PhD in Social Sciences and Health from the same University with the Commonwealth Scholarships Programme. He was a Commonwealth Fellow of the Institute of Hazard and Risk Resilience (IHRR), Durham University, UK. He is a Fellow of the Royal Geographical Society (with TIBG) and member of several international and national professional bodies. He is an editor of several international peer-reviewed journals. Professor Hassan’s research investigates groundwater arsenic poisoning, air quality monitoring, climate change, environmental health risk, and environmental justice. Apart from his recent book on “Arsenic in Groundwater: Poisoning and Risk Assessment” from CRC Press, he wrote a significant number of research papers and book chapters. In addition, he has also served as a consultant to several world bodies, including the Asian Development Bank, World Bank, UNICEF, and World Health Organization in the fields of climate change and human health, WASH, air quality monitoring, medical waste management, digital elevation model (DEM), EIA, EMP and so on. 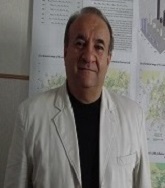 Prof. Armen Saghatelyan graduated from Yerevan State University, Department of Geology. Received his PhD degree in 1985 and the academic degree of Doctor of geol.-mineralogical sciences in 2000 at the Institute of Mineralogy, Geochemistry and Crystallochemistry of Rare Elements (Moscow). 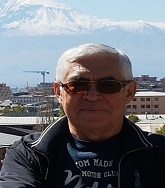 Since 1993 Prof. Saghatelyan has been the Founder Director of the Center for Ecological-Noosphere Studies of National Academy of Sciences of Republic of Armenia. He has been heading a number of national and international research projects. A member of several international professional organizations. The author and co-author of over 200 scientific publications. Dr. Alexander Ivlev received his PhD (1968) in the Chemical Technology Institute of Mendeleyev (Moscow). His next PhD (1986), he got in the Institute of Chemical Physics of Russian Academy of Sciences for research on biophysical mechanisms in photosynthesizing cell. In 2005 he was awarded the medal of the Russian Academy of Natural Sciences “To Author of Scientific Discovery”. Since 1971 he worked in the Scientific Research Institute of Oil Prospecting. In 1995 he was invited to be a Professor of Russian State Agrarian University. Here he discovered the carbon isotope effect in photorespiration (1993) and the oscillatory nature of photosynthesis (2004) and began the project “Global Carbon Cycle”. He is an author of 5 scientific monographs and over 230 publications in Russian and foreign journals. isotope fractionation, cell metabolism, plant physiology, evolution, organic geochemistry, biogenesis, carbon cycle. In guiding organisations in their International Expansion Strategies, I have gained experience in no less than 24 countries over the past 24 years of my professional life. I have led as a CEO in my time, whilst simultaneously holding two Executive Directorships in consulting concerns on the African continent. This practice of assisting organisations with international expansion strategies led me to complete my PhD in Strategy, Business Management and Administration, in 2012 at the Stellenbosch University Business School. 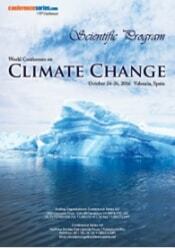 Climate, Sustainability and Systems Thinking. Prof. Vladimir Zakrutkin graduated from Rostov State University, Department of Geology and Geography. Received his PhD degree in 1974 and the academic degree of Doctor of Geology and Mineralogy in 1982. 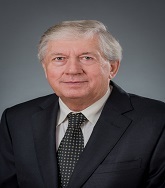 Since 1990 Prof. V.Zakrutkin has been the head of the Department of Geoecology and applied Geochemistry of Southern Federal University. The author and co-author of over 250 scientific publications (among them 9 monographs), devoted to the study of regularities of changes in physical and chemical parameters of the natural environment in the geological past and their impact on the size of the earth's biomass; of critical epochs in the geological history of the biosphere (of causes and consequences); to development of methods of complex assessment and zoning of territories by degree of ecological tension; of environmental-hydrological problems of arid zones caused by the growth of anthropogenic impact and climate change. Chairman of the editorial Board of the journal "Proceedings of higher educational institutions. The North Caucasus region. Natural science», expert of the Government of the Russian Federation, expert of the Russian Academy of Sciences, member of the Expert Council of the Russian Foundation for fundamental research. Member of the Scientific Council on fundamental geographical problems of the International Association of Academies of Sciences. Professor of KSU. U.D. Aliev. 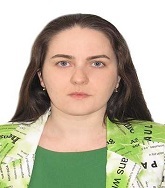 From 1985 to 2013, she worked at SFU (RSU), carried out various research projects on the study of the vegetation cover of the Don and the Caucasus basin, including on environmental issues, both in Russia and in Ukraine: since 1996 - in the post of head. the Laboratory of Biodiversity and Specially Protected Natural Territories of the Research Institute of Biology of the Southern Federal University; since 2012 - in the position of Director of Botswana SFedU. Christopher Bryant has almost 50 years of research experience in peri-urban agriculture (France, Canada and other countries) and 26 years research experience in adaptation of agriculture to climate change and variability as well as 30 years’ experience in community development. He was a Professor in Geography, University of Waterloo for 20 years and Professor in Géographie, Université de Montréal for 24 years. He is also an Adjunct Professor in the School of Environmental Design and Rural Development at the University of Guelph, Canada. An International Disaster Management and Climate Change specialist, presently working as Director of Disaster Management and Climate Change Department, Shoolini University, Himachal Pradesh. Fifteen years of Strategic Leadership Experience and expertise on Interdisciplinary Programme Management, Project Cycle Management, Academic Teaching, Training & Capacity Development, Curriculum Development, Research and Outreach Programme in the areas of; Holistic Disaster Management Policy and Practices, Sustainable Development, Climate Change Adoption Policy and Resilience practices and Humanitarian Response including implementation guidelines, policy and strategy formulation, Governance and technical oversight of human and financial resources in developing countries. I lead more than 12 international research projects in 14 countries and published 37 international and national paper scopes index journal. Researcher at the University of Alicante. Psychologist and, Environmental and Emergency Consultant. Chief of Brigade in a Forest Fire Service with more than 20 years of experience. He collaborates with several companies and institutions in the area of training in Psychology in Emergencies and Human Resources. He is Professor at the University of Valencia in the Master in "Intervention and operational coordination in emergencies and catastrophes" and other postgraduate courses on emergencies. Director and President of the International Scientific-Professional Committee of the National Symposium on Forest Fires (SINIF). 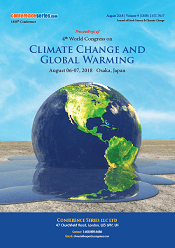 He has lectured internationally and has been part of the Organizing Committee of several International Congresses on Earth Sciences and Climate Change. He has published articles on forest fires, stress, psychosocial risks and emotional trauma, mainly in relation to emergency services and natural disasters. Currently, he is assigned to the Research Group on "Climate and Territorial Planning" (University of Alicante), where he researches on the social perception of forest fire risk and behavior in the event of possible disasters. Forest fires, risk perception, natural hazards, environmental psychology and human behavior in emergency situations. Currently, he is assigned to the Research Group on "Climate and Territorial Planning" (University of Alicante), where he researches on the social perception of forest fire risk and behavior in the event of possible disasters. Peter Nigel Cameron is the founder and MD of Energy Markets Global Limited, a UK based international energy consultancy and corporate executive training company, advising on the strategic, commercial and regulatory aspects of developing energy markets, working for corporate and public clients worldwide.Peter is a lecturer in business strategy for Middlesex University (UK), oil and gas MBA. 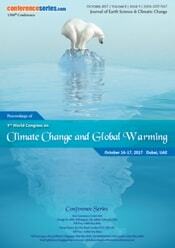 He has published two books on energy, 15 articles and presented at numerous international conferences. Peter has an MBA and a BA Hons. 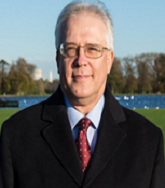 Bernard Foing is a senior scientist and exploration officer at the European Space Agency (ESA), Executive Director of the International Lunar Exploration Working Group (ILEWG) and Professor of Space Science at Vrije Universiteit Amsterdam Faculty of Earth and Life Sciences. He has been the father and Principal Project Scientist for SMART-1, the first European mission to the Moon. He serves as elected President of ESTEC Staff Association Committee since 2012 (representing 1400 ESTEC colleagues). He has worked on studies and projects of Earth and planetary missions. He conducted a number of field campaigns in Earth extreme desert environments. He is also an expert in spectroscopy conducted from ground based observatories around the world. He obtained a PhD in Astrophysics and Space Techniques using a sounding rocket experiment (France CNRS and US New Mexico, Boulder CU, Harvard Observatory). Vladimir Babeshko has completed his HD (Doctor of Mechanics) in 1974 from Russian Academy of Sciences. During many years he is a chief of Scientific-Research Center for Forecasting and Preventing Geo Ecological and Technologic Disasters Kuban State University and Southern Research Center, Russian Academy of Sciences. He has 20 patents, published 7 monographs and more than 500 papers in reputed journals such as Russian Academy of Sciences and many others. He is the author of the Theory of the Block Element Method, has discovered the “Starting Earthquake”, and has gotten the mathematical explanations of the some Weather and Climate Change. Christopher Bryant completed his PhD at the age of 24 years at the London School of Economics and Political Science. He was Professor in Geography, University of Waterloo, from 1970-1990 and then in Géographie, Université de Montréal,from 1990-2014. He is currently Adjunct Professor at the Universities of Montréal and Guelph. He has published almost 100 articles in peer-reviewd journals, over 30 books and over 150 chapters in books and has made several hundred presentations at conferences. See his Research Gate profile. Gualtiero A.N. Valeri borned in Padua, year 1960. Live in Switzerland and in Ecuador. Studied industrial chemistry and chemical engineering in Padua. Consultant in the applied sciences, R&D. Professor of Industrial Chemistry at St. Rita University of Rome. Member of Tiberina Pontificial Academy. Vicepresident of scientific committeè of Meditarranean Parliament. President of Montevenda Engineering International Association. “J. Benveniste” award for the Biophysic, year 2011. Special award for the diffusion of scientific culture from Center “Culturambiente” of Rome and the from “Centre for Peace” of Vatican City, year 2013. “Hyppocrates” award for the Medicine year 2015. Baike Xi received her Ph.D degree from the Department of Meteorology at Penn State University in 1999 under the guidance of Dr. Dennis Lamb. Her B. S. degree was from Beijing University, P. R. China. From 1999 to 2002, she worked as a postgraduate research associate at the University of Utah. While there she was involved with the NASA TRMM project and validated the satellite measured precipitation by using aircraft in-situ and ground based measurements during TEFLUN-A, TEFLUN-B/CAMEX3, LBA, KWAJEX, and CEMEX4. She is currently an associate research professor in the Department of Atmospheric Sciences at the University of North Dakota. Miklas Scholz, cand ing, BEng (equiv), PgC, MSc, PhD, CWEM, CEnv, CSci, CEng, FHEA, FIEMA, FCIWEM, FICE, Fellow of IWA, is Prof. in Water Resources Engineering at Lund University, Sweden.He also holds the Chair in Civil Engineering at The University of Salford, UK. He is the Head of the Civil Engineering Research Group in Salford. Prof. Scholz has shown individual excellence evidenced by world-leading publications, postgraduate supervision and research impact. His main research areas in terms of publication output are as follow: treatment wetlands, integrated constructed wetlands (ICW), sustainable flood retention basins (SFRB), permeable pavement systems, decision support systems, ponds and capillary suction time. About 47% and 45% of his research is in water resources management and wastewater treatment, respectively. The remaining 7% are in capillary processes and water treatment. 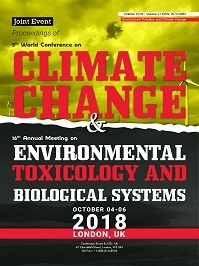 Liming Zhou is an Associate Professor with the Department of Atmospheric and Environmental Sciences at University at Albany, State University of New York. He has a strong publication record in the fields of land-surface remote sensing, land-atmosphere/climate interactions, and land surface/climate modeling (e.g., author or coauthor of 3 book chapters including the IPCC AR4 Report and ~80 peer-reviewed papers in journals including Nature). His peer-refereed publications since 2000 have a total citation of >9500 times (h-index: 36) according to Google Scholar and >5500 times (h-index: 33) according to Web of Science as of March 16, 2017. Prof. Zhou has been active in professional service activities as a NSF program director (2008-2011) and as a reviewer for major highly regarded geophysical journals including Nature and for NSF and NASA proposals. Before coming to US, he was a weather forecaster (1994-1998) at National Meteorological Center in China. Lei Shen is currently a professor and director of Key Lab for Resources Use and Environmental Restoration (RUER), Institute of Geographic Sciences and Natural Resources Research (IGSNRR), Chinese Academy of Sciences (CAS). He was the consultant of the World Economic Forum in Minerals and Metals Council in 2010 and the World Bank in 2006, and the academic committee of Word Mine Ministry Forum in 2008. He was granted the “Excellent Scientist by China Society of Natural Resources in 2012 and 2013”. More recent his expertise is focused on energy policy and mineral economics, involving the areas of regulatory systems surrounding resource extraction, energy intensive industry, cement manufacturing and regional development planning in China, resources-based city transformation and sustainable development, and energy and mineral security and multi-lateral resource cooperation. He also has particular experience in policy for small-scale mining in China. Xiaojun Yuan is a Lamont Research Professor at Lamont-Doherty Earth Observatory, USA. She has engaged in studies of variability of the Antarctic atmosphere-ocean-sea ice system and its role in global climate since 1995. Her research has progressed from the identification of polar-global linkages, expanded to an ENSO-Antarctic Dipole teleconnection mechanism study, and finally resulted in an Antarctic sea ice forecast. At the same time, she has utilized space-born scatterometer observations and developed a series of studies focused on air-sea interactions on synoptic time scales, ranging from cyclone-sea ice interaction, high wind evaluations to satellite enhanced cyclone statistics in the Southern Ocean. Alvina Reihan is an Associate Professor of the Environmental Engineering Department, Tallinn University of Technology. She received her PhD degfee in civil engineering from the Tallinn University of Technology. She has more than 20 peer-reviewedarticles. Her main interests include climate change impact on surface water resources and water quality, river run off modelling, water balance, water resources estimation and management, scenarios for water management and renewable resources. 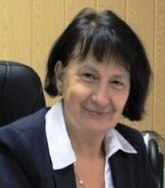 She coordinates several projects connected to climate change impact on water ecosystems and other environment issues.She is an editorial board member of the Euro - Asian Journal of Sustainable Energy Development Policy.She is a member of UNESCO Estonian Advisory Commission and Estonian State Water Commission. Gordon Huang is a Professor in Faculty of Engineering and Applied Science at University of Regina; Fellow of Canadian Academy of Engineering; President of International Society for Environmental Information Sciences; Canada Research Chair Tier 1 of Energy and Environment; Executive Director of Institute for Energy; Environment and Sustainability Communities and Editor-in-Chief of J. of Environmental Informatics. Gordon Huang was featured as one of the University of Regina's Canada Research Chairs. Dr. Huang's research focuses on developing complex models to understand and plan for climate change. Guoqian Chen is a Professor, Laboratory of Systems Ecology and Sustainability Science, College of Enginnering, Peking University, Beijing, China completed his education from Huazhong Institute of Technology, Wuhan, China. He is a recipient of the Thomson Reuters Highly Cited Researchers Award, and among the Thomson Reuters China Citation Laureates. He is an editorial board for dozens of international journals. He has more than 100 international publications in reputed prestigious journals. Edwin Hon-Wan Chan studied Architecture in England and then learnt Law at London University and Hong Kong University. He obtained his PhD degree from King’s College, London University. He is a Chartered Architect (Authorized Person), Chartered Surveyor and also a Barrister-at-Law called to the UK and Hong Kong Bars. Before joining the Hong Kong Polytechnic University, he had worked in industry for over 10 years with practical experience in property development and building control in the UK and Hong Kong. He is currently involved with teaching research and consultancy on urban studies, urban community planning, urban renewal, etc. He has published over 100 international journal papers, and serves as an editorial board member of research journals. He also serves committee members of a number of government committees and professional bodies. Daniele De Wrachien is currently Retired Professor of Agricultural Hydraulics at the Department of Agricultural and Environmental Sciences of the State University of Milan and Member of the Board of Director of the Wessex Institute of Technology ( WIT ), Southampton,UK. He graduated from the State University of Milan as geologist and obtained his PhD in Advanced Engineering Geology. He performed his duties as, Director of the Institute of Agricultural Hydraulics (2000-2006) ,Director of Computer Centre of the Faculty of Agriculture,(1992-95), Tutor of MPhil and PhD students of the Faculty of Agriculture, External Examiner to MPhil and PhD students,Visiting Professor at the Wessex Institute of Technology (WIT). Daniele received the following Honours and Awards: Award for Truthful Support and Help in Organizing and Improving Scientific Level of the Symposia "Actual Tasks on Agricultural Engineering", Croatian Agricultural Engineering Society, Award in Recognition of Services to the European Society of Agricultural Engineers, Award for outstanding contribution to Engineering Sciences,WIT, Award for the Best Performing Working Body, International Commission on Irrigation and Drainage. Tijian Wang is a professor and vice director of School of Atmospheric Science of Nanjing University, committee member of IGAC-China, Deputy Secretary-General of Atmospheric Environmental Society of Chinese Environmental Science Society and vice director of Atmospheric Composition Society Chinese of Meteorological Society. More than 200 papers have been published in the domestic and international professional journals. Pierluigi Siano (M’09–SM'14) received the M.Sc. degree in electronic engineering and the Ph.D. degree in information and electrical engineering from the University of Salerno, Salerno, Italy, in 2001 and 2006, respectively. He is an Associate Professor (with accreditation for Full Professor) of Electrical Energy Engineering with the Department of Industrial Engineering, University of Salerno.. He has co-authored more than 270 papers including more than 140 international journal papers. 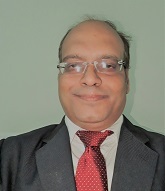 He is Editor of Intelligent Industrial Systems, Springer, an Associate Editor of the IEEE TRANSACTIONS ON INDUSTRIAL INFORMATICS, member of the editorial board of more than thirty International Journals. His research activities are centered on the integration of distributed energy resources in smart distribution systems and on planning and management of power systems. Jaime Senabre (1966). Graduated in Psychology, is currently developing his PhD thesis in the Department of Personality, Evaluation and Psychological Treatment of the UNED. 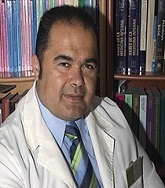 He has extensive postgraduate training, achieving a total of five Masters, including: Masters in Occupational Health, Safety and Workplace Risk by Camilo José Cela University, Madrid; Master of Psychopathology and Health, UNED; Master of Civil Protection and Emergency Management, University of Valencia. He is also a Diploma in Psychological Intervention in Emergencies and Disasters, Environmental Consultant, Expert in Human Resources and Criminology. His multidisciplinary background has led him to exercise his professional work as a wildland firefighter for 18 years and is currently Chief of the Wildland Fire Brigade. Exerts Clinical Psychology at several private centers and provides training to the various emergency services and police. Director and Chairman of the Scientific-Professional Committee of the National Symposium on Forest Fires -SINIF (2008-2014) and creator of SINIF Awards, for Innovation and Technological Research, Prevention and Management Development on Forest Fires.Member of: Spanish Society for the Study of Anxiety and Stress, Spanish Association for Clinical Psychology and Psychopathology, and Spanish Association of Behavioral Psychology. Chavalit Ratanatamskul is The Director of Research Unit on Waste Treatment, Faculty of Engineering and The Vice Director of Technopreneurship and Innovation Management Program, Graduate School, Chulalongkorn University, Bangkok, Thailand. He received Ph.D. and Master degree of Engineering in environmental engineering from The University of Tokyo, Japan in 1996 and 1993, respectively, and B.Eng. degree in environmental engineering from Chulalongkorn University, Thailand in 1991. His major research interests are focused on anaerobic digestion, waste management and water reuse. He has published research works in international journals and proceedings more than 80 publications. Moreover, he is presently The Chairman of Project Committee and The Vice Chairman of Environmental Engineering Committee at The Engineering Institute of Thailand (EIT) under the King’s Patronage. Moktar Hamdi attended the University Provence (France), where he took a Engineer degree in industrial and applied microbiology and He subsequently obtained a PhD degree in microbiology, followed by a post-doctoral period at INSA Toulouse (France) In 1999, Moktar Hamdi joined National Institute of Applied Sciences and technology as an associate professor being promoted in 2004 to full Professor in Biological Engineering, where he was Head of Department of biological and Chemical Engineering from 2003 to 2008, and Head of doctoral school from 2009 to 2012). Professor Moktar Hamdi is also director of research laboratory in Microbial ecology and technology in the university of Carthage since 2004. Dr. Hamdi has published over 180 papers, over 10 patents and some chapters in several books. He is a scientific advisory boards and he has served on many editorial boards of many indexed scientific journals. Nils-Axel (”Nikas”) Mörner took his Ph.D. in Quaternary Geology at Stockholm University in 1969. He was head of a personal institute at Stockholm University and the Swedish National Council on Paleogeophysics & Geodynamics (P&G) from 1991 up to his retirement in 2005. He has written many hundreds of research papers and several books. He is a global traveller and has undertaking field studies in 59 different countries. Several students have taken their doctoral degree at the P&G institute, which became an international centre for global sea level change, paleoclimate, paleoseismics, neotectonics, paleomagnetism, Earth rotation, planetary-solar-terrestrial interaction, etc. He was president of the INQUA Neotectonics Commission (1981-1989) and president of the INQUA Commission on Sea Level Changes and Coastal Dynamics (1999-2003). In 2008, he was awarded the Golden Condrite of Merit (from Algarve University) “for his irreverence and contribution to our understanding of sea level change”. Among his books one may note; Earth Rheology, Isostasy and Eystasy (Wiley, 1984), Climate Change on a Yearly to Millennial Basis (Reidel, 1984), Paleoseismicity of Sweden: a noval paradigm (P&G-print, 2003), The Greatest Lie Ever Told (P&G-print, 2007), The Tsunami Threat: Research & Technology (InTech, 2011), Geochronology: Methods and Case Studies (InTech, 2014), Planetary Influence on the Sun and the Earth, and a Modern Book-Burning (Nova, 2015). Xiangrong Wang is currently the director and professor of the Centre for Urban Eco-Planning & Design, Department of Environmental Science and Engineering of Fudan University in Shanghai China, the director of National Centre for Virtual Simulation of Environmental Science at Fudan University,the President of Shanghai Ecological Society, the Deputy Chairman of Urban Ecological Commission of Ecological Society of China. In addition, he is the Chair of Environmental Science and Greening Division of Shanghai Municipal Construction Commission, and the editorial members of some academic journals, such as the editor-in-chief of Journal of World Forestry (Hans Press, USA), editors of Acta Ecological Sinica, Chinese Journal of Ecology, Chinese Journal of Eco-Agriculture, Journal of Environmental Science & Technology, etc, and reviewers of some International Journals such as Ecological Engineering, Landscape and Urban Planning, and Journal of Environmental Management.He also served as a regional vice-chair of East Asia, the IUCN Commission on Education and Communication during 2004-2012 and a steering member of INTECOL Association. Prof. Wang got his Ph.D of Environmental Ecology in 1991 at East China Normal University and carried out his post-doctoral education of urban ecology and Planning at Tongji University in 1993. He was also a senior visiting scholar at the Univrsity of Liverpool, UK during 1994-1996 and a Fulbright Scholar at the State University of New York at New Paltz and Bard College, USA during 2004-2005. Yuri Latypov has completed his Pd. Geol. At the age of 36 from Institute Geology and Geophysics and Dr. Biol. Sic at the age of 47 years from Paleontological Institute Academy of Science USSR. He is the principal officer of A,V. Zhirmunsky Institute of Marine Biology. HE is Academic New York Academy of Sciences and Russian Ecological Academy. He has published more than more 170 papers in reputed journals (16 monographs, 5 in English and Vietnamese) and has been serving as an editorial board member of repute: International Journal of Biodiversity; American Journal of Climate Change; Advances in Natural Sciences; Life Science; Journal Environmental Ecology. Isaac Moradi has completed his first PhD from Kharazmi University in Climatology and Environmental Planning and his second PhD in Radio and Space Science from Chalmers University of Technology and postdoctoral studies from ESSIC, University of Maryland. He is currently a Research Scientist at University of Maryland collaborating with NOAA and NASA on different topics including developing long-term climate data records from satellite data, data assimilation, radiative transfer modeling, and product retrieval. He has published more than 25 papers in reputed journals and has been serving as an editorial board member of repute. Additionally, in the past he has served as convener and co-convener of many sessions at AGU Fall Meeting and EGU General Assembly. Jinsheng You completed his PhD12 years ago at Utah State University and postdoctoral studies at University of Nebraska – Lincoln School of Natural Resources. He is an Associate Geoscientist in University of Nebraska – Lincoln, School of Nature Resources. 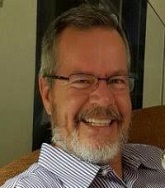 He has published more than 20 papers in reputed journals and has been serving as an editorial board member of repute: Journal of Water Resource and Protection, and American Association of State Climatologists Journal of Service Climatology. He has reviewed articles for more than 15 journals and funding request proposals for several funding agencies such as US Geological Survey, US Department of Agriculture, and NOAA. He is interested in hydrologic and earth system modeling, monitoring climate, soil, and hydrologic system. His work contributes to the quality assurance and management of climate data, development of big data, climate analysis, systematicanalysis, crop water use, extreme event analysis, hydrologic modeling and etc. Woo-Kyun Lee finished his PhD course at the College of Forestry at Goettingen University in Germany. His research focuses mainly on forest planning, forest growth model, climate change impact assessment and adaptation. He is also an expert in GIS/RS (Geographic Information System/Remote Sensing), and spatial data analysis. He is currently a professor at the Division of Environment Science & Ecological Engineering at Korea University. He is also the Director of BK21+ Eco-Leader Education Center, Korea University. He serves as President of Korean Society of Forest Management Information, Vice President of Remote Sensing Society, Korean Society of Geospatial Information, Korean Society of Geographic Information, and Special Advisory Committee of Korean Society of Climate Change. Currently his researches are focused on Assessing Impact and Vulnerability in Environmental Sectors (especially Agriculture, Forest Ecosystem, Urban Area) in relation to Climate Change and Carbon Cycle and preparing Vulnerability Map with different spatial scale for making Adaptation and Mitigation Measures in National and Local Level. Assessing Ecosystem Services (Support, Provision, Regulation, Culture) by using GIS and Spatial Analysis and preparing Ecosystem Service Map for reasonable Decision-making in Environmental sectors. Alexander A. Kokhanovsky graduated from the Department of Physics of the Belarusian State University, Minsk, Belarus, in 1983. He has received Ph. D. degree in optical sciences from the B. I. Stepanov Institute of Physics, National Academy of Sciences of Belarus, Minsk, Belarus, in 1991. The PhD work has been aimed at studies of light scattering properties of aerosol media and foams. His habilitation work (Main Geobphysical Observatory, St. Petersburg, Russia, 2011) has been devoted to the development of advanced cloud and snow remote sensing techniques based on spaceborne observations. 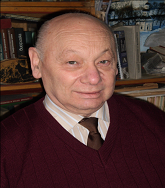 Dr. Kokhanovsky has worked at the atmospheric optics group in the Laboratory of Light Scattering Media Optics at Institute of Physics in Minsk (1983-2004) and also he has belonged to the SCIAMACHY/ENVISAT algorithm development team (Institute of Environmental Physics, University of Bremen, 2001-2013). He is currently working with aerosol and cloud remote sensing algorithms for the imaging polarimeter (3MI) to be launched in 2021 on board EUMETSAT Polar System-Second Generation (EPS-SG). His research interests are directed towards studies of light propagation and scattering in terrestrial atmosphere. Dr. Kokhanovsky is the author of books Light Scattering Media Optics: Problems and Solutions (Chichester: Springer-Praxis, 1999, 2001, 2004), Polarization Optics of Random Media (Berlin: Springer-Praxis, 2003), Cloud Optics (Amsterdam: Elsevier, 2006), and Aerosol Optics (Berlin: Springer-Praxis, 2008). He has published more than 300 papers in the field of environmental optics, radiative transfer, and light scattering. Vincenzo Isabella Valenzi is the Director Biomedical Science Department, UNIMEIER, Milano, Italy and Presedent of CIFA. He has been conducting research on meteoropathy since 1980. With a group of physicists and doctors, he founded a Center for the study of biometeorology in Rome. He has conducted extensive research on Climate therapy of the thermodynamics of biological systems. A. W. Jayawardena is a retired professor with over 40 years of experience in the fields of hydrology, water resources and environmental engineering in academia, government, consulting engineers and international organizations. At present, he is an Adjunct Professor in the Department of Civil Engineering of the University of Hong Kong where he has been teaching for many years, and has in the past been a Technical Advisor to the Research and Development Centre of Nippon Koei Co. Ltd (Consulting Engineers), Japan, Research and Training Advisor to the International Centre for Water Hazard and Risk Management (ICHARM) under the auspices of UNESCO, Japan, Professor in the National Graduate Institute for Policy Studies, Japan, a Guest Professor of Beijing Normal University, China, Honorary Professor in the Department of Statistics and Actuarial Sciences of the University of Hong Kong and a Visiting Professor in Tsinghua University of China. He has been the recepient of the 2013 International Award of the Japan Society of Hydrology and Water Resources, has authored the book "Environmental and Hydrological Systems Modelling", and authored or co-authored over 175 reseach publications. J.P. Paredes-Sánchez is a lecturer in the Department of Energy at the University of Oviedo, Spain. He received his PhD in Energy Engineering in 2010, at the University of Oviedo (Spain), and has been associated with national and internationalresearch projects at the Oviedo Higher Technical School of Mining and Engineering since 2007. He is the author or co-author of tens of papers and conferences on renewable energy and energy efficiency. He has published books about university education and energy sources. He is also involved in European programs for updating renewable energy research and higher education. Research focus has been on the theory and application in the combination of conventional and non-conventional energy and Modelling of Biomass Energy Systems (BES), with a background in bioenergy research and hybridization techniques using energy sources. José Sánchez del Río Sáezhas been working in biotechnology with photonic biosensors for more than 4 years. He did his PhD in photonic bio-sensing and DNA mutations detection at Madrid Microelectronics Institute (IMM-CNM-CSIC). Then he worked in a private company as a patent researcher in Biometrics and novel sensors and after as a postdoc in the Face Recognition and Artificial Vision (FRAV) group of the Computer and Statistics department at Rey Juan Carlos University (URJC). He has done 2 postdocs in the Nuclear Physics Department at the Matter Structure Institute (IEM-CSIC) and was specialized in high energy ions, protons and gamma radiation detection. Nowadays, he is working as a SW/HW testing engineer in the aerospace field for ALTER TECHNOLOGY.